Make Place is a solo exhibition by Sophie Lee investigating the artist’s interpretations into notions of the home and identity. 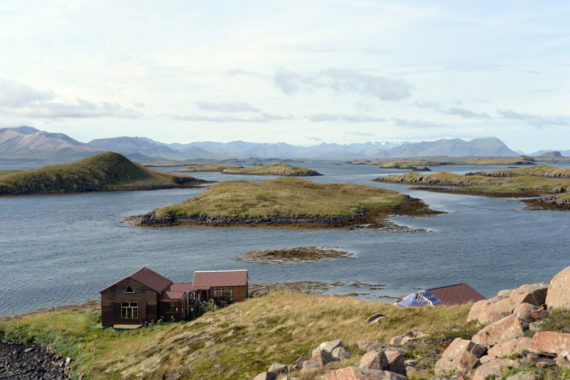 Taking inspiration from her recent visit to a group of family owned islands off the West Coast of Iceland, Lee presents a gallery installation bringing together research from over the last eight-months. Bringing together her own narratives, experiences and documentation, Make Place is an exhibition that reinterprets this story from the experiences of the artist. Within the exhibition, Lee presents a fictional spoken word narrative between the island and the inhabitant. Make Place has been developed and produced by Mark Devereux Projects with Sophie Lee over the last year. This exhibition signals the completion of the first research and development phase of the project, which has also included a talks programme concentrating on the thematics of domesticity and identity at Salford Museum & Art Gallery. Make Place has been funded by Arts Council England and Salford Leisure with support from ArtWork Atelier, Salford Museum & Art Gallery, M3 Industries and University of Salford. Sophie Lee is represented by Mark Devereux Projects. For further details about the project and upcoming exhibition, please visit markdevereuxprojects.com.